Happy Birthday America! Upon my return to New York, I immediately wanted to celebrate the 4th of July with a truly "American" dessert. 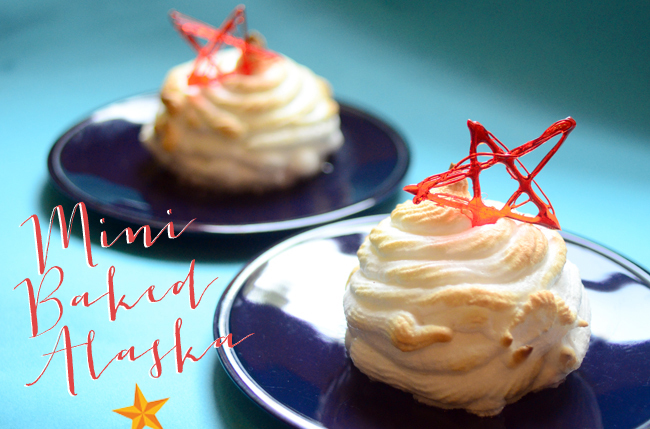 Without much thought, the nostalgic and festive baked Alaska comes to mind. I knew this dessert was old school, but did you know the baked Alaska actually dates back to 1876! I say we all pay homage to our country's greatness and create these mini baked Alaskas for the 4th. They're much easier to make than they appear, and I guarantee you'll have fun creating them (not just eating them). Just don't let these sit out in this crazy heat, or you'll be left with a melted blob of red, white and blue. 1. Line a large muffin tin with large muffin tin liners. (You can use plastic wrap if you don't have any liners.) 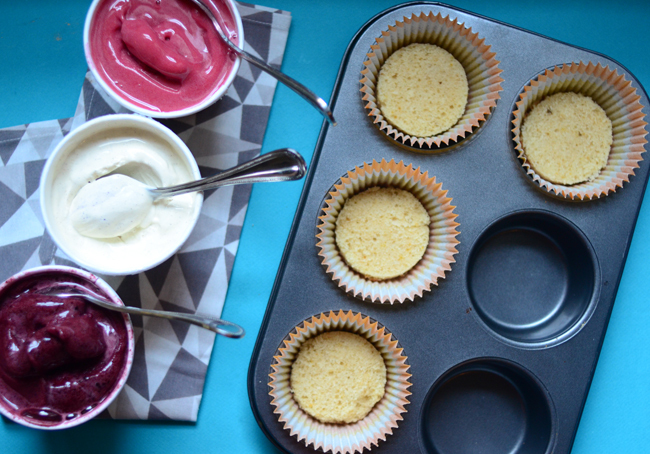 Remove the ice cream/sorbet from the freezer to soften while you assemble the cakes. 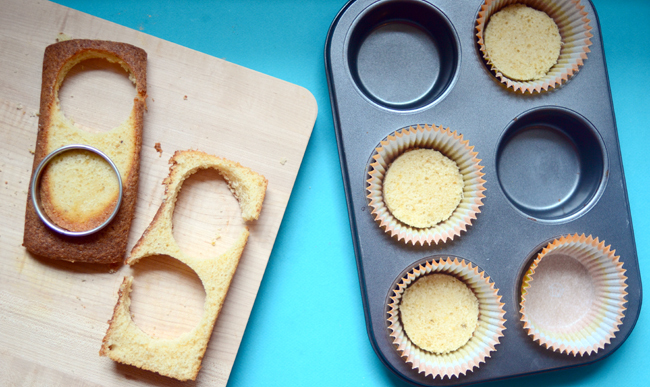 Slice the pound cake in half lengthwise, and use a 3" round cookie cutter to cut cake rounds. 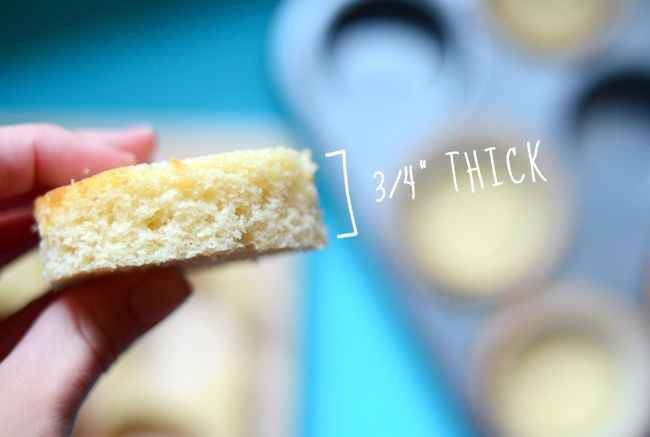 Cake rounds should be about 3/4" thick. Place in the bottom of the lined muffin tin. 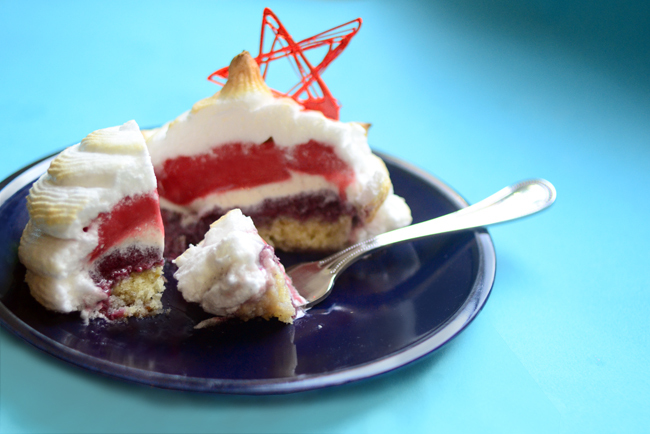 Scoop the ice cream right on top of the cake rounds, alternating flavors to make "red, white and blue". Cover with plastic wrap and place in the freezer overnight, or at least 2 hours. 2. 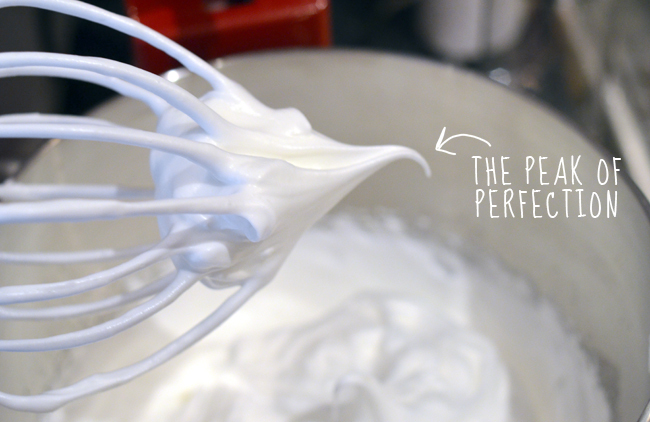 In a clean bowl of an electric mixer fitted with the whisk attachment, beat the six egg whites on high speed until foamy. Add in the cream of tartar and beat on high until egg whites start to multiply in size. Keeping the mixer running, slowly pour in the sugar. Continue to beat until stiff peaks form. 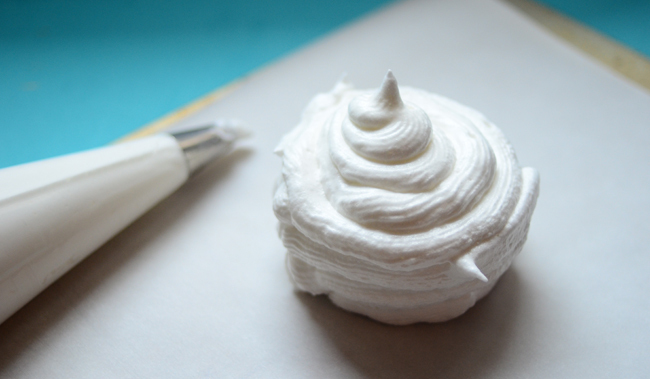 Place meringue into a piping bag or zip lock bag with the tip cut off. 3. 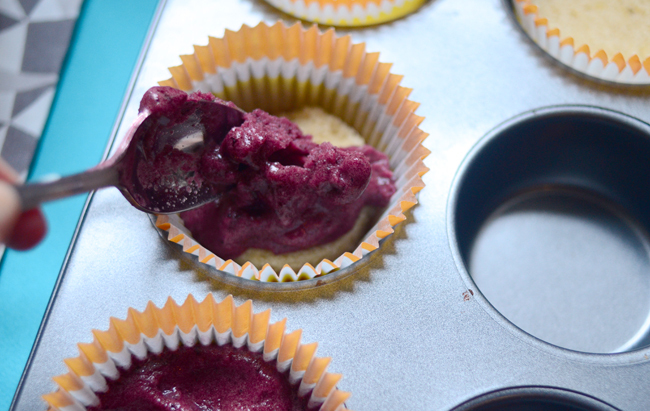 Remove ice cream cakes from the freezer and peel off the muffin liner. Place on a baking sheet lined with parchment paper. Working quickly, pipe the meringue all around each ice cream cake so no ice cream is showing, creating a peak at the top. If you aren't ready to serve the baked Alaska's, place them in the freezer until it's time to serve. 4. Preheat the oven to 500 degrees. Bake the cakes until the meringue peaks are golden, about 4 minutes. Serve immediately and freeze any leftovers. 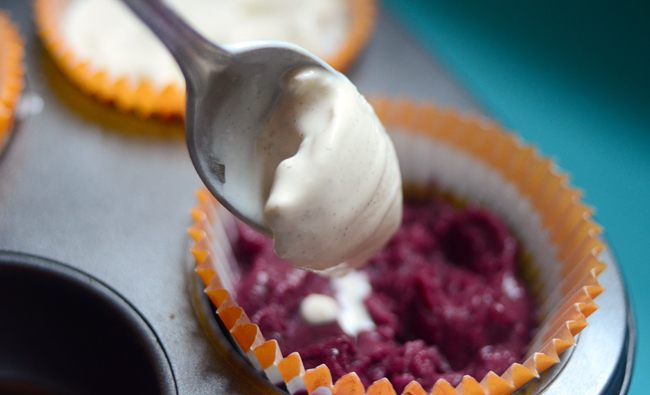 Create these before you make the Alaskas, so they're ready when you take cakes out of the oven. Place 1-2 cups Isomalt in a saucepan and melt completely. 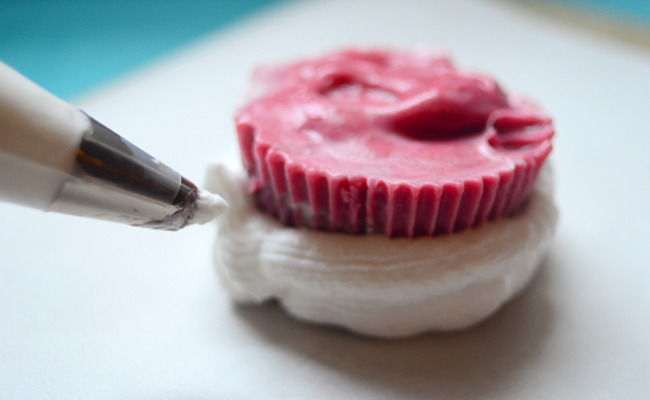 (Isomalt is a sugar substitute that melts completely clear and is very easy to work with! You can get it at most cake and confection supply stores.) 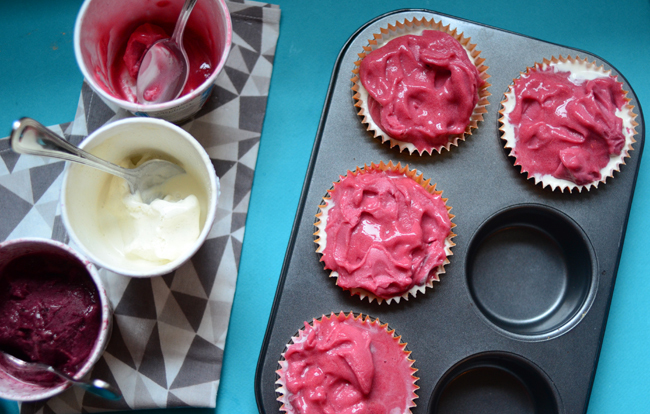 Add a few drops of red or blue food coloring. 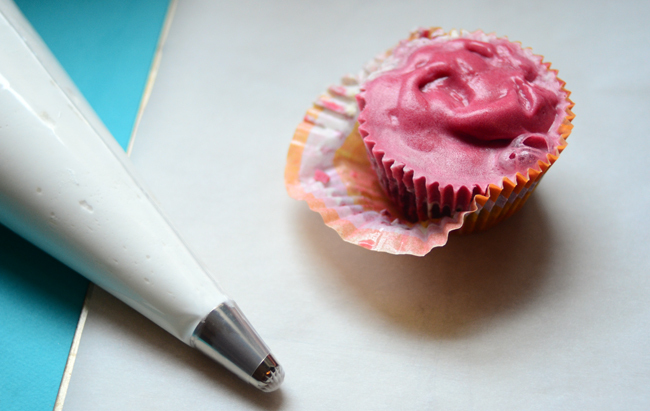 Allow to cool slightly while you line a baking sheet with a baking liner or parchment paper. 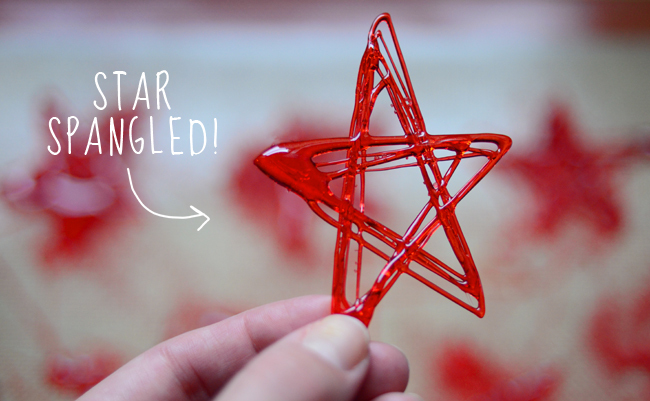 Carefully dip a spoon into the melted sugar, then "drip" a star pattern on the baking sheet. Cool, then set aside. Instead of using sugar in your recipe, is it possible if I replace it with a low calorie sweetener? The reason why I am replacing it is because low calorie sweetener helps people with type 2 diabetes in which I belong. That looks very delicious! Well, we usually have picnics every weekends so knowing this recipe will really be helpful. 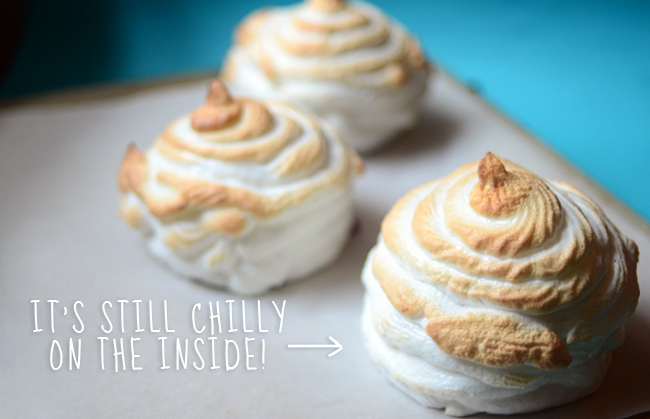 At first, I thought they were huge meringues in the picture, then I checked up to the last then tried it at home. Totally worth it! Thank you so much for the recipe! I love the presentation, specially the star. I always order star-designed cupcakes!